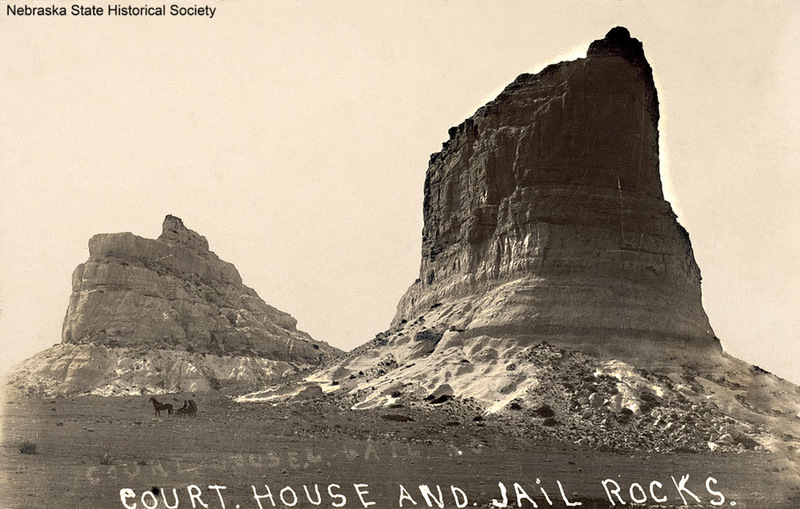 Courthouse and Jail Rocks are two of the most famous landmarks of westward migration. Nearby passed the Oregon-California Trail, the Mormon Trail, the Pony Express Trail and the Sidney-Deadwood Trail. The rocks were vanguards of unforgettable scenic wonders that travelers would encounter farther west, including Chimney Rock's curious spire and the rugged heights of Scott's Bluffs. Hundreds of overland emigrants mentioned Courthouse Rock in their diaries. Often called a "castle" or "solitary tower," the name Courthouse was first used in 1837. One 1845 traveler described the rock as "resembling the ruins of an old castle [which] rises abruptly from the plain. . . .It is difficult to look upon it and not believe that art had something to do with its construction. The voyagers have called it the Courthouse; but it looks infinitely more like the Capitol." Courthouse and Jail Rocks, rising some 400 feet above the North Platte Valley, are erosional remnants composed of clay, sandstone and volcanic ash. The rocks are listed in the National Register of Historic Places and in the Nebraska Natural Areas Register. 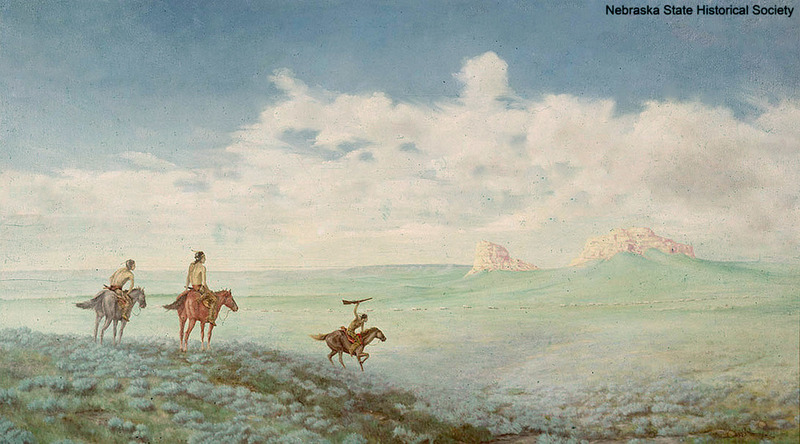 “Courthouse and Jail Rocks,” Explore Nebraska History, accessed April 19, 2019, https://mynehistory.com/items/show/363.